12 Apr: CPMA Montreal Wrap-Up! The CPMA Convention in Montreal was a week to remember! Gold sponsor, Thomas Fresh unveiled their first-ever exhibitor booth on the trade show floor. 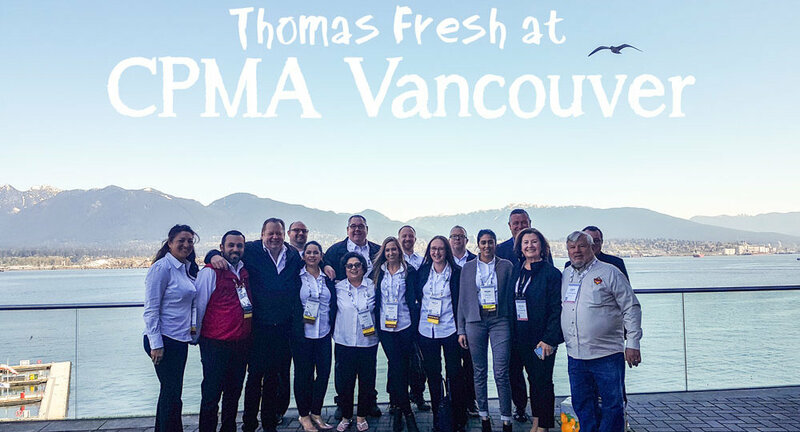 01 May: Thomas Fresh Takes on the Vancouver CPMA! Wrap up of the CPMA 2018 Convention and Expo in beautiful Vancouver. The Thomas Fresh booth was one to remember with kombucha samples, an exciting potato challenge and our newest addition, MVS Transport.